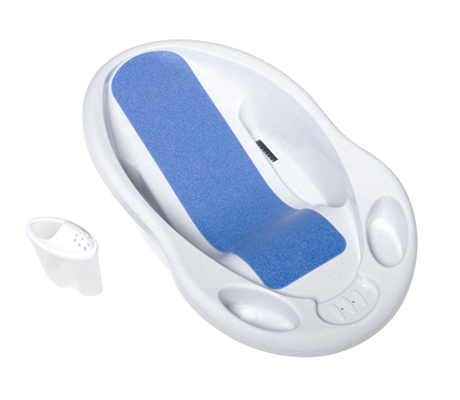 Comfy Bath Center features contoured interior to provide a comfortable bathing environment, slip-resistant foam pad provides comfort and security, built in temperature strip and easy release drain plug. The Warm Me Shower & Bath includes dual showerhead, with spray and stream options, provides control over how to shower your baby. 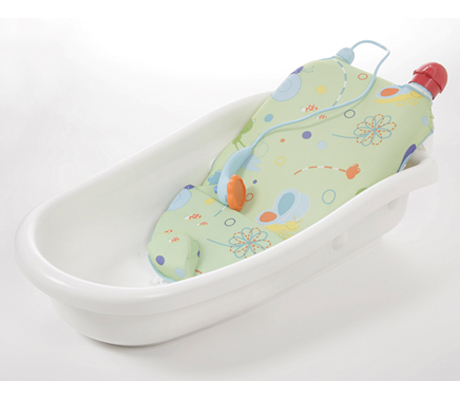 The built-in just-right temperature strip helps you make sure that baby s bath water is just right, while the warm water filled backrest soothes your little one and keeps her comfortable throughout the entire bath time experience.